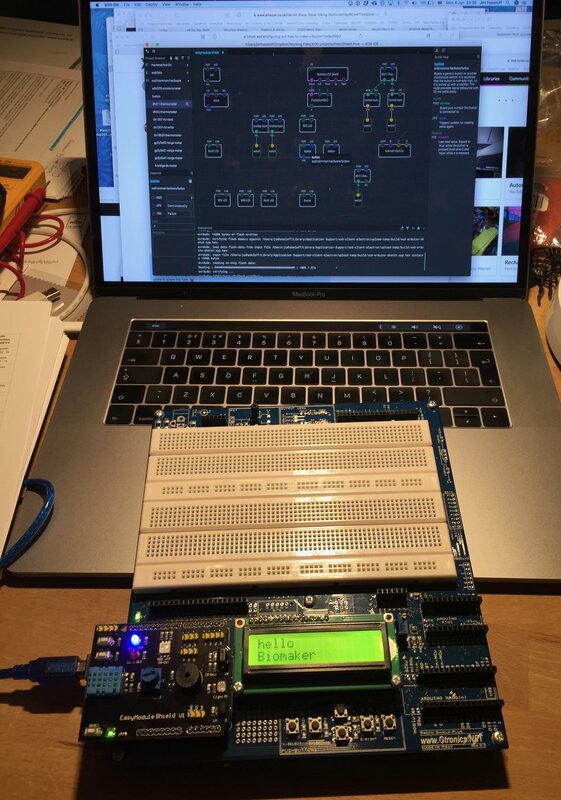 Interested in learning to programme Arduino hardware using the new XOD visual programming interface? Come to our meet-up sessions, open to all - including Biomaker teams. We are experimenting with ways of simplifying and accelerating the training process - using customised hardware and graphical programming environments. Grab your laptop, download the XOD package from xod.io, and join us for tutorial sessions. If you're not in Cambridge or Norwich, you can also obtain the hardware through online purchase, and we hope that the pointers to online training resources are useful.